At the start of 2014 the owner of Coparents.com approached me about SEO for his co-parenting and free sperm donor social network. He had been burnt by bad SEOs performing ‘blackhat’ tricks that were not working and had led his site down the wrong path. All of the consulting and changes I made could be implemented across the various other sites he had for targeting different countries. This meant the return on investment could be greater if the work I carried out proved to be beneficial for the .com domain. Below is a snapshot of rankings compared in week 3 and 4 of October 2014. 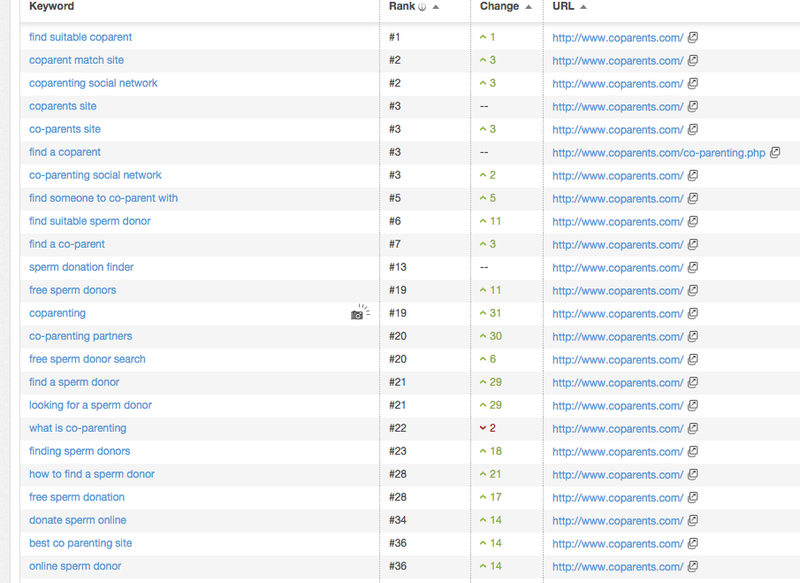 These ranking changes equal big organic traffic uplift and new levels of revenue. 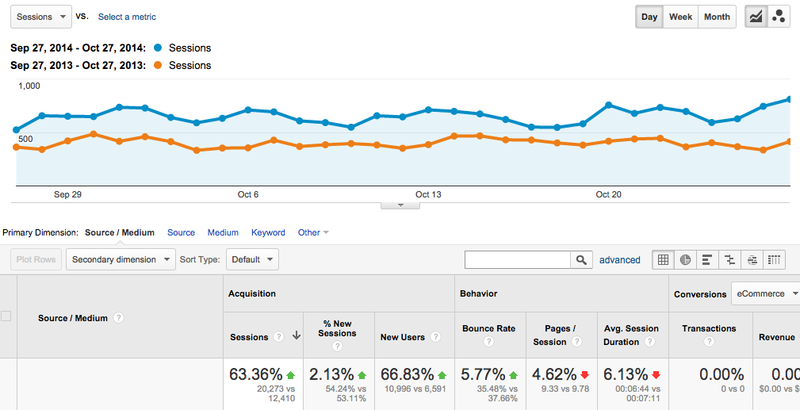 The image below shows the organic traffic growth in October 2014 Compared to September 2014. 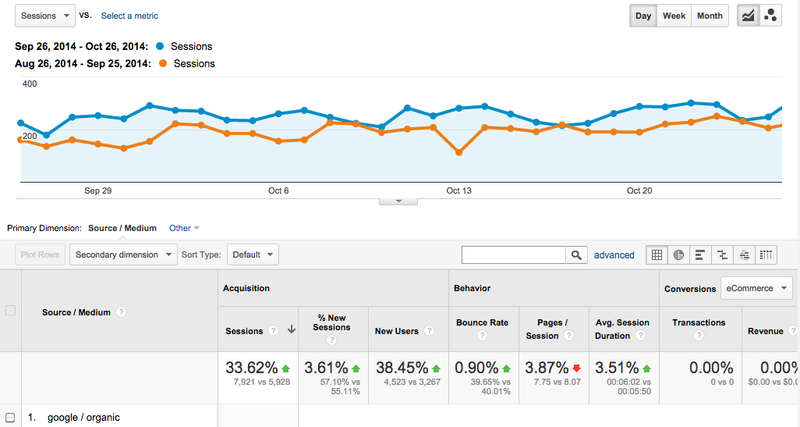 Coparents.com experienced a 34% lift in organic traffic after ongoing SEO based around onsite content and meta data changes and a link audit carried out the month before. 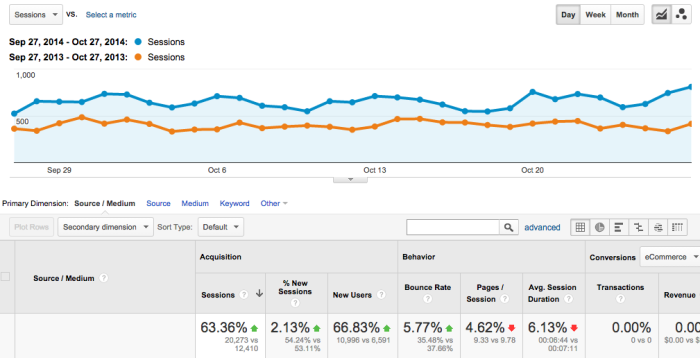 This graph from my client’s Google Analytics shows the level of goal completions before and during the campaign. 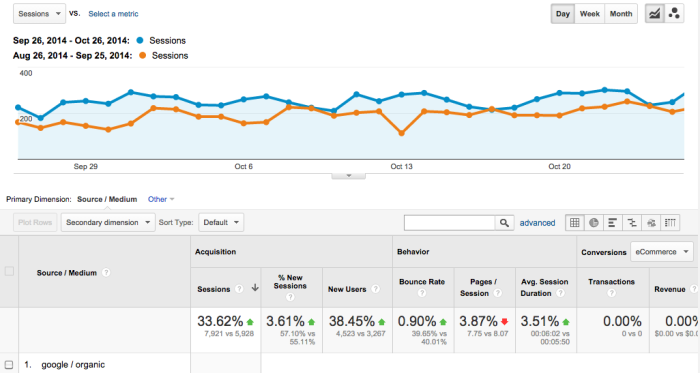 It is worth noting that the goals achieved (visitor’s signing up) before I began were mostly driven by Google Adwords. 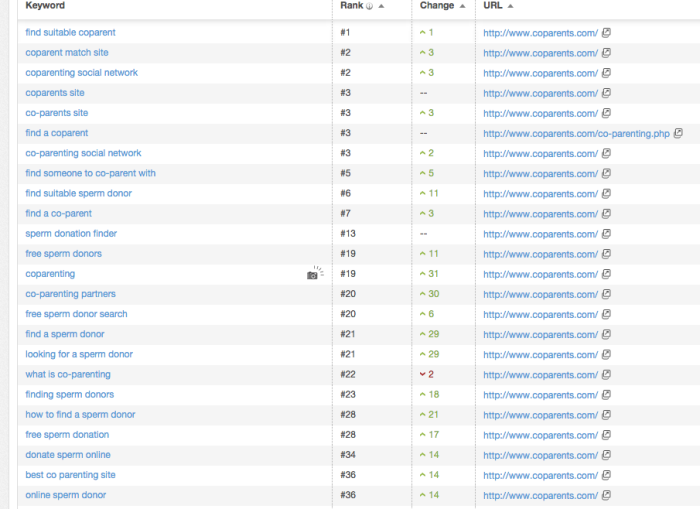 Now coparents.com don’t have to use Adwords to drive conversions and instead reap the benefits of free Organic traffic from Google. This campaign has been a great experience for both the company owner and myself. At the time of writing this case study up we are just beginning to experience what will become a whole new level of performance. If you would like to learn more about the various SEO services we offer, before getting in touch then check out the SEO page.